Volunteers are the heart and soul of the Friends. They are the first impression of the Friends to customers and donors. Without our volunteers we couldn’t do what we do to support our Library! 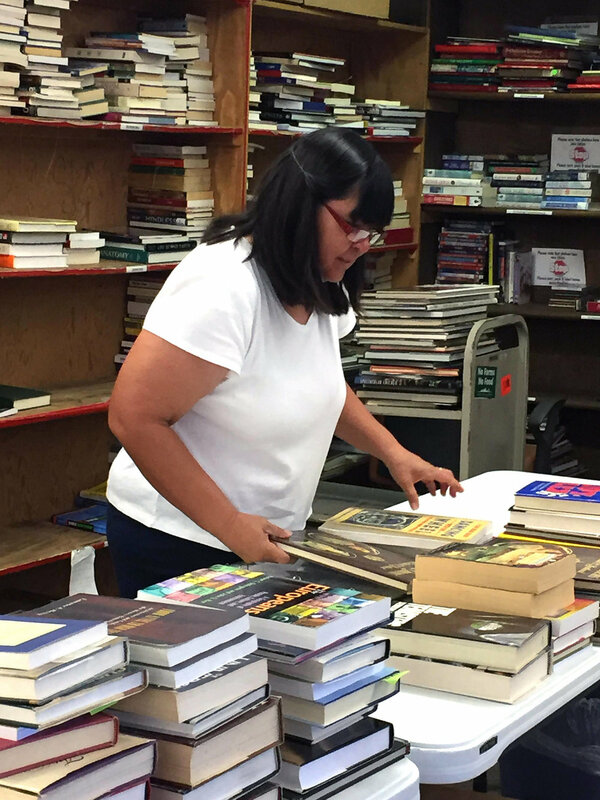 Most volunteers are active in the actual business of selling books, whether that’s at a community/member sale, the downtown book store, online sales, or other venues. We have positions to fit everyone standing and sitting! Because they believe in the value of their Library, our volunteers go the extra mile to help the Friends raise money to give back to the Library. 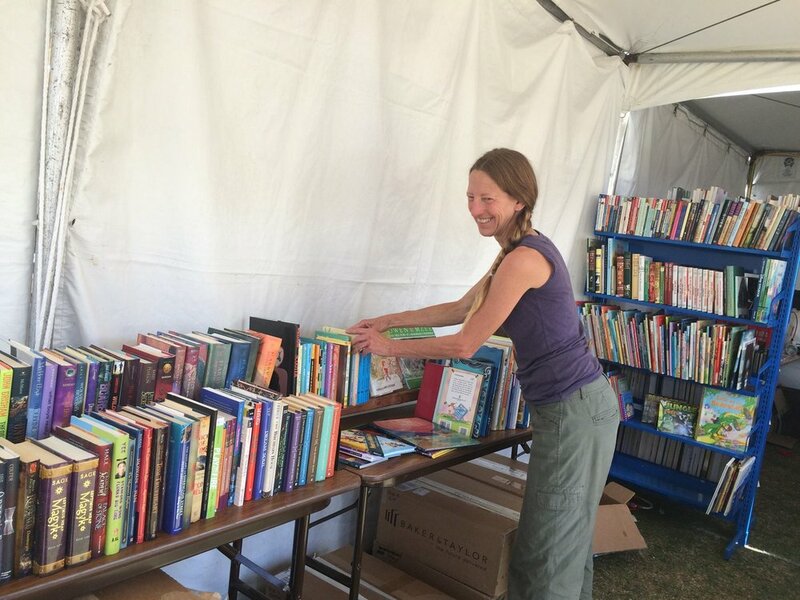 Over 300 volunteers together contribute more than 30,000 hours every year to support their Pima County Public Library! 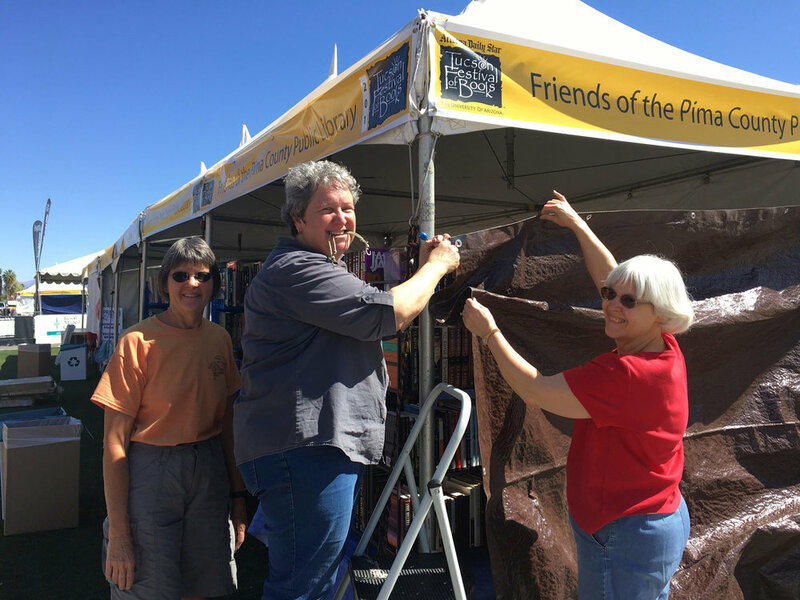 Being a Friends volunteer is a great way to meet fellow book lovers while contributing to your community. Listing books for sale online. Other opportunities: If you have special skills in information technology, financial analysis, facilities management, or marketing, we can use your expertise. Just let us know! Call 520-795-3763, email info@pimafriends.com, or complete our online volunteer form to sign up. If you prefer to mail your form in, click here for a printable PDF form. New volunteers can find out more at our monthly volunteer orientation. Upcoming orientations are scheduled on the following dates from 9–11am at 2230 N. Country Club Rd. Volunteering with the Friends is a rewarding experience—thank you for considering us!